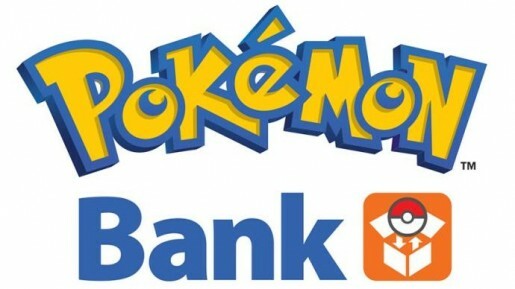 On this page, you will find all there is to know about the Software updates for Pokémon Bank (and Poké Transporter) (originally released on January 22nd 2014 in Japan, February 4th 2014 in Europe, and February 5th 2014 in North America). How to update Pokémon Bank and Poké Transporter for the Nintendo 3DS? use the option in the Nintendo eShop Settings page to search for new updates. To check that you have the latest version of the apps, simply launch them: you should see the version number on the main screen, in the bottom left corner of the top screen (in that case, Ver. 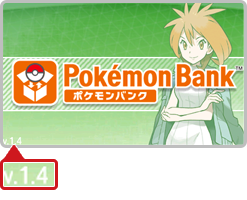 1.4 for Pokémon Bank, and Ver. 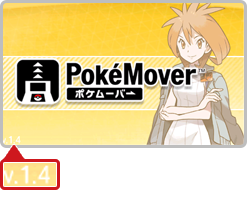 1.4 for Poké Transporter). Adjustments have also been made to make for a better gaming experience. NB: you can get a Mewnium Z (a Z Crystal only Mew can use) if you use the service before October 2nd. For more details, click here!